I love a sweet, juicy watermelon for snack or dessert, but also love mixing it into salads. 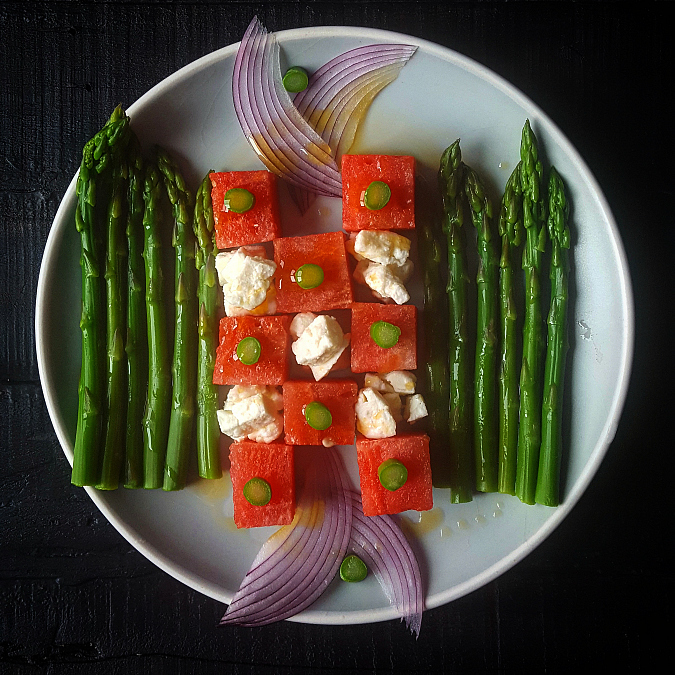 A few weeks ago I was bored out of my mind and made a whimsical salad from watermelon cubes, blanched asparagus, feta and red onions. Drizzle the arranged salad with chili olive oil and sprinkle with a bit of salt. Of course you can also mix all of the ingredients together, but why not play with your food?